It’s no secret that artificial intelligence (AI) has a bias problem. Machine learning bias, a phenomenon occurring when an algorithm produces results that are systematically prejudiced, affects many aspects of our society including racial partiality in hiring, policing, judicial sentencing and, as recently discussed in a New York Times editorial, healthcare. Algorithms have built-in biases. After all, they are created by individuals and every individual has conscious or unconscious preferences. These innate preferences may go undiscovered until a given algorithm is implemented and amplified. Given the inherent bias, have businesses and citizens formed an “over-trust” or “dependency” on AI, and at what cost? “When fervent human curiosity is abandoned to the power of AI, the inherent cognitive functions and authority will rapidly weaken and surrender to the narrated reality created by AI,” said Tamie Santiago, University of Maryland University College (UMUC) collegiate associate professor of cybersecurity policy. Santiago, Garrison-Alexander and Smith agree, arguably, that AI can only reach its full potential when combatting AI bias becomes a top priority for business leaders and policymakers. To learn more, visit the UMUC Facebook page on February 13 at 1 p.m., as the panel explores the cybersecurity implications of AI bias, the cost-benefits of relying on artificial intelligence over human intelligence when dealing with common tasks such as loan applications or college admissions, and related topics in a live discussion. Prior to joining UMUC, Garrison-Alexander served as the assistant administrator for Information Technology (IT) and chief information officer (CIO) for the Transportation Security Administration (TSA) under the Department of Homeland Security (DHS). There, she led TSA’s IT organization with an annual budget responsibility of $400 million. Before joining TSA, Garrison-Alexander served for 25 years with the National Security Agency. She holds a Bachelor of Science in electrical engineering, a Master of Science in telecommunications management and a doctorate in technology and information systems. Santiago spent more than 34 years in leadership positions with the Department of Defense, the White House and in the private sector where she managed large complex organizations and systems. She has a wide-ranging background in cybersecurity, critical infrastructure, intelligence, information assurance, information technology management, strategic planning, research and analysis, fiscal management and oversight. Santiago also is the founder and president of Destiny’s Promise, a 501©3 organization aimed at helping young women and girls develop into effective leaders. 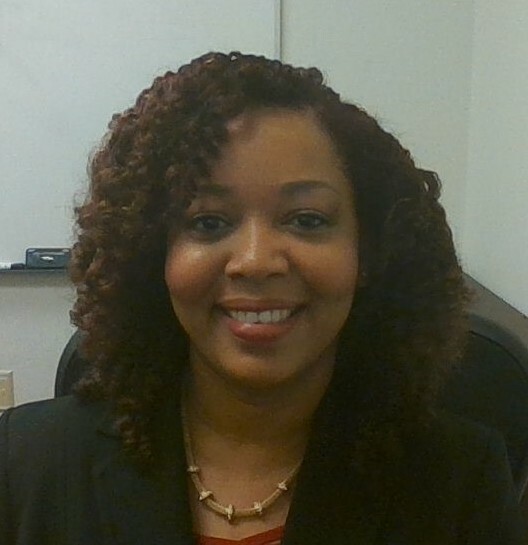 In addition to teaching at UMUC, Smith is chief knowledge officer with Technasium Foundation, Inc., a non-profit organization focused on STEM education. She also is the co-founder of IT Kidz USA and an active speaker at conferences and community events. Smith has served as a data analyst with the Nielsen Company and a program director with Charles County Meals on Wheels. After earning her doctorate, Smith completed a cybersecurity fellowship in the cybersecurity and information assurance department at UMUC.